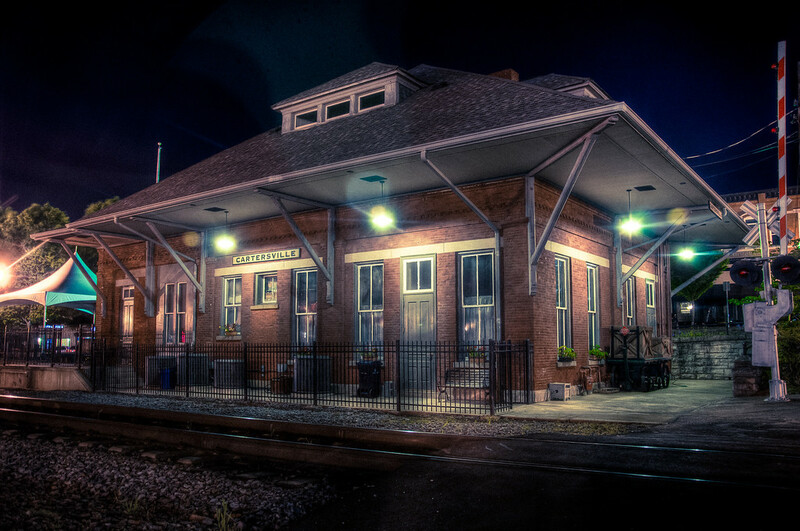 Cartersville Train Depot | Just Shooting Memories! I took a stroll around downtown Cartersville the other night. For anyone that knows, it was not a long stroll. However, it was kinda pleasant. It was not so cold that it was unbearable, but it sure beats the heat we usually have around here. Too bad this was the weekend that was the calm before the storm. I mean, three days of constant rain and another one predicted. At least it made for a few good photo opportunities. Those photos shall be posted soon.